I must admit to having a lump in my throat when I found out that Nelson Mandela had died (although not sure why) Whatever my thoughts are on him as a person, the ANC, or his legacy, the passing of such a towering international figure deserves honest reflection. As a man he was loved and respected by millions around the world, as evidenced by the outpouring of grief today – some of it phoney, some genuine. As expected there is the - ‘Mandela was a terrorist’ accusations from the right wing media, - and the - Mandela was a great statesman, peacemaker, and inspiration to millions, - from pretty much everyone else. I am no authority on Mandela’s politics or legacy so please feel free to add your own thoughts or information to this post. How anyone with any kind of analysis can label Mandela as a terrorist is beyond me. What should the victims of one of the most despicable regimes in history have done to fight back against their oppressors, start a petition? Yes, I am sure his rap sheet has some unpleasant sounding convictions, but consideration of time, place, and context, is required. Those who immediately use the ‘terrorist’ label are no different to those who heap huge praise on Mandela, two of whom I have spoken to today, neither of them could actually offer me any explanation as to why he was a great man, other than to say “He just was!” It seems that ‘brand Mandela’ has done its job. As far as Mandela’s politics goes, I believe he has changed his position on things several times since the 1930’s, from ardent Stalinist to democratic socialist. As an anarchist I am not going to criticise Mandela’s early political radicalisation and views because they should be viewed in time, place, and context. However, if he defined himself as a ‘socialist’ since leaving prison, then he has failed miserably. Again, I don’t claim any expertise on Mandela or apartheid, but to laud him as the man who ended apartheid (as many seem to be doing) seems a bit disingenuous. Surely there are many other factors and individuals that led to that change. Mandela should be seen as the poster boy for the failure of political parties and for reformism. The ANC – whatever they consider their achievements, are nothing more than a party of gangsters, careerists, and anti-working class scumbags. Apartheid ended over twenty years ago, so what has changed? The black working class of South Africa has a new set of spivs, bosses, and politicians to oppress them. You only have to look back on the various mine massacres by the security forces last year to see that not a lot has changed – I am given to understand that Mandela’s grandson is a part owner in one of those mines. Thirty years ago it would have been just white police officers shooting unarmed black miners in the back, now it is a mixture of white and black police officers doing the killing. Truly a massacre fit for apartheid. Nelson Mandela himself – who left prison penniless – has a fortune that his family are now fighting over like vultures. Clearly a far cry from the lives of the average South African who generally do not have a pot to piss in! Anyway, Nelson Mandela has died, and these are my brief reflections. Thanks for your post, it has given me the opportunity to reflect in a slightly more purposeful way than the punkesque spewings that have been firing from my mouth this morning. I've never thought to much about Mandela himself, I guess it was my opinion that he was well meaning and a generally admirable sort but for me his name has always been kind of detached from the man himself. To me, at first, he was a fashion accessory to the right on, reformist lefty tossers that blighted my life as a teenager. 'Free Nelson Mandel' played ad infinitum on the pub duke box as a background to the condescending witterings of faux middle class students with bad dress sense and even worse haircuts. Over the years his elevation to divine status has been sickening to watch whilst the ANC failed miserably in it's promises. To question his greatness has been fairly taboo amongst 'nice' folk for years but now he is dead that will be a concrete position. Better to be smart like the red shirts, and use his history to help lead people toward self-organisation and away from trust in an enlightened leadership. 'Exposing the myth', however much it might be irritating that it exists, is an approach that isolates you and leaves you talking only to yourself. edit: unnecesary post, points replicated in my next post. 'Exposing the myth', however much it might be irritating that it exists, is an approach that isolates you and leaves you talking only to yourself. Pragmatism is all well and good, but not at the price of brushing the truth under the carpet. The myth is horseshit and it is horseshit that needs removing from the believers minds before any truth can be digested. I argued that just recently on another article, and i'd generally agree with it. I suppose the issue that bothered me was how easy it is in the UK and US to criticise the liberal love for mandela, contrasted with the continued popularity of mandela amongst working class south africans in the shack communities (the same south africans that get beaten and murdered by ANC thugs), and that struggle organisations created there have to build on the existing mentalities and find a way to transform them, since they don't have the luxury of critique from afar. If being threatened with violence and murder from the ANC doesn't dissuade them from still admiring mandela, i'm not sure a leaflet would. I also think it would be good to mention that when the leaders of the ANC, including Mandela, were negotiating the handover of power and the ending of apartheid, they agreed to let officials from the World Bank do most of the economic planning. The results from this disastrous compromise are well known, and poverty is just as miserable now as it was when apartheid ended. Of course, the man spent decades in prison, it's pretty easy for me to sit here at my leisure criticizing him. Haha also I just read this article about how the CIA helped arrest Mandela in 1962. While the mass media devoted hours of broadcast time and scores of articles to Mandela’s release, they missed a key part of the story on how he got to prison in the first place--namely, the CIA’s reported role in luring Mandela to his capture. Mandela was arrested in August 1962, while traveling disguised as a chauffeur. 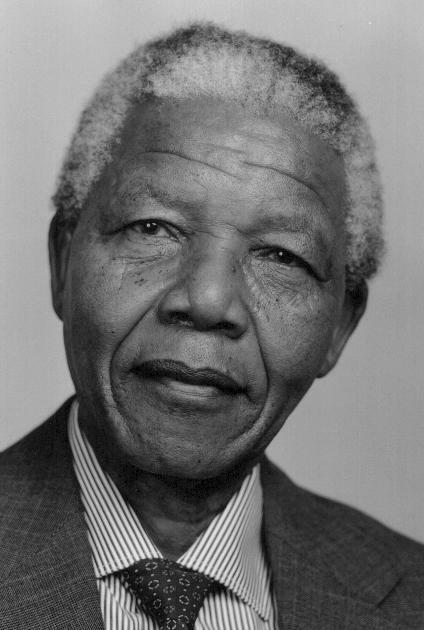 According to 1986 reports in the South African press, Mandela had been on his way to a top secret meeting with the U.S. consul in Durban, South Africa--Donald Rickard, a diplomat reputed to be a CIA officer. Rickard, the reports said, had tipped off the South African authorities to the time and place of his meeting with Mandela, allowing him to be apprehended. This story was referred to on CBS Evening News (8/5/86), in an op-ed column in the New York Times (10/13/86), and it received extensive coverage in the Fall/Winter 1986 National Reporter. But in all the reporting on Mandela’s release, FAIR saw no mention of the CIA’s reputed role in his capture. I think the question of Mandela's legacy has to be seen in terms of how the apartheid regime ended. I am taking it as read that the end of apartheid was a good thing, even though racism and economic inequality persists in SA. That being the case, how important was Mandela to that end and what other outcomes could have happened. To my mind there are a range of possible outcomes - the current neoliberal class system that is on paper colourblind but in reality not is by no means the worst. A quick glance over the border at the chaos in Zimbabwe or the civil wars that raged for nearly 30 years in Mozambique or Angola show how much worse it could have been. Could it have been better? Probably yes, but the whole point of the transition to democracy was that a significant chunk of the business class saw the writing on the wall - they were facing workforces that had revolutionary intent and were militant and combative. Siege capitalism had made them vulnerable. They needed to undermine the revolutionaries and end the siege (I'm not suggesting no companies broke sanctions, but the extra associated costs had a significant effect on the economy). Mandela was that solution personified. He had enough credibility among black South Africans that he could deliver a deal, and he had enough pull among white political and business leaders to do likewise. There's no shame in it, far from it, just no one should pretend it is anything to do with socialism. I also think it was unlikely any similar figure could have done the same, simply because no one else in the ANC had the same credibility: it's not like they could have turned to Oliver Tambo or another Stalinist hack. Once elected, most of Mandela's role was to be a figurehead, and it's something he's been doing since. The "sainthood" is definitely a bit far fetched, and as for the people calling him a pacifist, blimey! His legacy was the transition from a judicially racial capitalism to one that is neo-liberal and racist in effect, rather than intent. I hope the poor and oppressed of SA take note of his words as quoted by the AbM and continue their fight. Why are you so sure that no one else could do it? Social structures taken as a given, spaces open up and people occupy them. I think the liberal media is fond of calling it a "power vacuum" with the idea being "someone will fill it". If not Mandela, someone else. Or do you have encyclopaedic knowledge of the various actors who might have been candidates for the "Mandela role", and are thus qualified to say they could not have done it? martinh's post is very good. Whilst no doubt the transition to a neo-liberal model is racist in effect, its interesting that Abahlali make note of how the repression they face is largely at the hands of fellow black south africans, and their political message is to talk about a 'new apartheid', of rich and poor. In other words, they have taken the spirit of the anti-racist movement that gave South Africa one of the highest levels of political protest, and pushed an important sector of the rank and file (shack communities were hives of unrest during the anti-aparteid years) toward an independent movement along class lines (although the language of class struggle isn't explicitly used). South Africa, 1970s, 1980s,early 1990s ---- Viva the Soweto Uprisings! Viva Shantytown community organizing. Viva workers resistance....that's what lead to Mandala's freedom and the structural dismantling of apartheid. Created through community and worker self-organization. Viva the self-organized struggles of the people and workers! A quick glance over the border at the chaos in Zimbabwe or the civil wars that raged for nearly 30 years in Mozambique or Angola show how much worse it could have been. And all this is not exactly a new phenomenon...Jomo Kenyataa any one? and national liberation, I thought this quote gives as sense of the key role that the workers movement played in paving the way for the release of political prisoners and Mandala. And I look forward to solid anarcho-syndicalist and left communist articles on the 1970s-early 1990s period. NUMSA workers are steeped in a long tradition of building their unity and organisation in the face of apparently insurmountable odds. Trade unions for black workers were illegal when metalworkers first organised themselves, and Numsa (and its direct descendants) fought countless recognition battles to sink its roots in the industry. In the 1980s, there was the months-long BTR Sarmcol strike, the six-week auto strike, the occupation of the Mercedes-Benz plant in East London for R2-an-hour wages, the national metal industry strikes and the 13-week Goodyear disinvestment strike, to mention just a few landmarks on the road to the Numsa of today. Countless metalworkers have literally given their lives in the struggle to build the union and free South Africa from apartheid. Numsa members on the East Rand and in KwaZulu-Natal were the backbone of resistance when Inkatha vigilantes were unleashed on the democratic movement in the early 1990s. Many local, regional and national leaders of the liberation struggle were drawn from the ranks of the union of John Gomomo and Mthuthuzeli Tom. The union was able to survive and grow in such circumstances only because of its strong factory floor structures and its commitment to worker democracy. Actually, I really don't think anyone else could have taken that Mandela role. It was a very particular set of circumstances that needed someone who could deal with both sides, credibly. Most of the ANC old-timers really were Stalinist hacks. The younger ones were more radical or not well-known enough. Sometimes individuals really do make a difference and you can't reduce everything to impersonal forces. This is one, IMO. I think the FW De Klerk role in the story is one that could have been played by lots of different people and was a matter of a role that was required by wider forces. Syndicalist is right as well to highlight that it was grassroots organising that brought the SA bosses to the negotiating table. I am quite sure also that Mandela made a difference. Actually, I really don't think anyone else could have taken that Mandela role. It was a very particular set of circumstances that needed someone who could deal with both sides, credibly. I am not at all sure. The South African pattern is not unique. There were a whole number of countries around that time moving from open dictatorship towards forms of liberal democracy. Same story with variations: regime coming under pressure because of protests and strikes, wich pushes them to reforms. Part of the leadership of the protests and strikes offers itself as negotiating partners, and - more or less smoothly, with more of less complications - the move is made. South Korea: military dictatorshop, strong student protests in 1986, a wave of strikes pushing wages upwards from 1987 - military leadership announcing elections and opening ip the political set-up. Brazil: same story with variations. If the regime feels the need to open up, there w ill always be opposition leaders connected with mass movements, available to negotiated with. Pland artopund 1988, where Walesa played the Mandela role, profiting from prestige he had gained in the 1980-81 strike/ Solidarnocs period and his subsequent arrest. If there is no Mandela on the scene, he will be invented, maybe not as a person but as a social force. Of course, things can get out of hand, negotiations can fail, the mass movements can gain independence and autonomy and become uncontrollable. But it needs more than one person, however suited for the role, to hold that process back. Mandela was good at it, no doubt. But if a role is there, an actor will always be found. Another text published by them in 1994 only exists in French and Spanish but I'm translating it. Will upload it this week. Pretty fitting that Israeli leaders wont go to Mandela's funeral given the fact that Obama's hero Ronald Reagan was funneling money to the South African government through the Israeli government in order to bypass congressional sanctions. Maybe they'll include that little factoid in the next cbs documentary about Reagan's life. Court protocol, what court protocol? haha got to hand that to him. when does farming today start, auld-bod? I've made a special effort. Not convinced that either Brazil, South Korea, Poland, (or one you didn't mention - Chile), are good parallels to the SA situation. It has to be remembered that there was extreme possibilities for civil war between the ANC, Inkatha, and, as Michael Schmidt points out in his article*, AZAPO and the PAC. If it was just a question of getting ANC/SACP to cut a deal with De Klerk, your point might be valid, but it was Mandela's unique credibility (built up by the resistence movement's use of him as an icon - not by his own activity n.b., lots of political prisoners survive over 30 years of prison without achieving any particular widespread recognition or status) that allowed him to overcome the party and tribal divisions - cynically fostered by decades of Apartheid divide-&-rule - and appeal to black South Africans as a whole. Like MartinH I can't think of any figure that had the necessary status, charisma and nous to do that. No-one outside of the ANC could have done it (ovs). And within the ANC, who else could have appealed to enough of the ANC's black enemies? Apologies for the de-rail (blame Picket) and I do suspect I’m being gulled. ‘Farming Today’ is 5.45am, on BBC Radio 4. In the good old days it used to be a full 30 minutes now sadly it’s only 15 with less market nitty-gritty and more ‘diversification’ into b&b, farm shops, etc.